If you’re in the market for a laser printer, my favorite Brother Laser Printer is on sale starting today at Staples!! 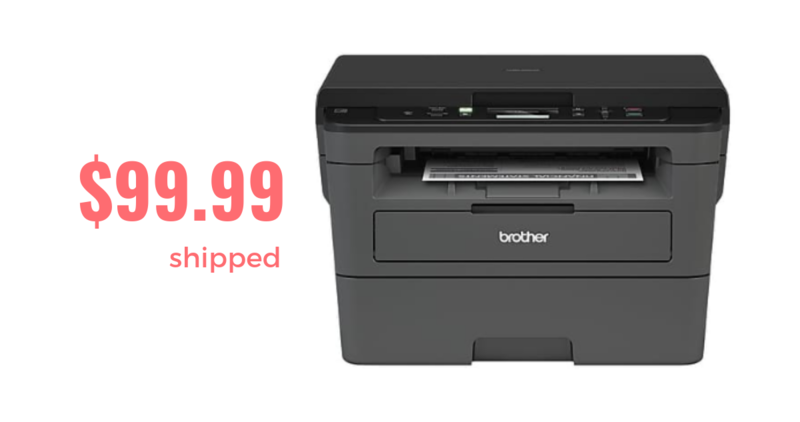 Get a Brother Multi-Function printer, copier and scanner for $99.99 shipped (reg. $149)! This printer is also air print compatible… meaning you can print coupons from your phone and tablets!! I am a big fan of Brother Printers and always suggest them when people ask for a great coupon printer. Laser Printers use toner instead of ink and cost pennies compared to inkjets. When you need a replacement toner cartridge (which is around $11 each), it will print around 2,600 pages per cartridge!